The comedy will continue. Deadline reports that Comedy Central has renewed The Meltdown with Jonah and Kumail for a third season. Film at Meltdown Comics in Los Angeles, the series is hosted by Jonah Ray and Kumail Nanjiani. It highlights a series of comedians like John Mulaney, Hannibal Buress, and Fred Armisen exploring new material. The series premiered in 2014 and ended its most recent season in August. No word on when the third season will premiere. Recently, Jonah Ray was announced as the new host of the Mystery Science Theater 3000 reboot. Nanjiani stars in HBO’s Silicon Valley and will appear in FOX’s upcoming X-Files revival. What do you think? 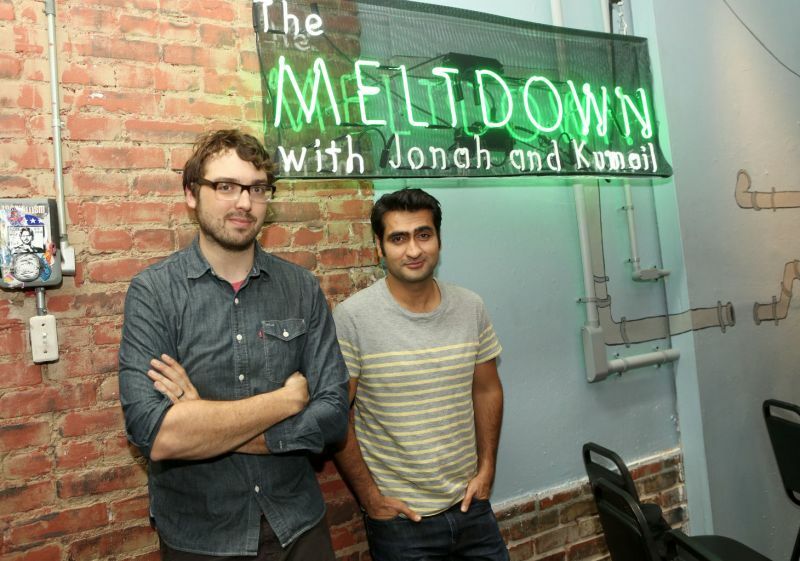 Do you watch The Meltdown with Jonah and Kumail? Are you excited there will be more? More about: Comedy Central TV shows: canceled or renewed?, The Meltdown with Jonah and Kumail, The Meltdown with Jonah and Kumail: canceled or renewed?